Kobexindo Tractors, we strive to position ourselves strategically in this market, with our range of superior products, remarkable services, and consistent reliability as a business partner. With our principals' superior technologies, we provide cost effective answers to our customers' needs. The wide range of available products allows our experienced staff to tailor solutions. Already, within just ten years after our humble beginnings in 2002, PT Kobexindo Tractors Tbk has earned a strong reputation as a partner that is oriented towards results and quality. Our award-winning after sales services are a testament to this standing. 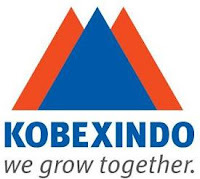 PT Kobexindo Tractors (Kobexindo) founded in 2002 is a distributor of heavy equipment that is rapidly growing. To achieve a high level of customer satisfaction, Kobexindo aggressively expand its product sales by distributing leading brands from around the world such as Doosan, Mercedes Benz, Tata Daewoo.